em[POWER] will begin this initiative in Karachi, where it seeks to create a renewable power plant and industrialized waste management facility at Kachra Kundhi landfill, 10 miles outside the city. 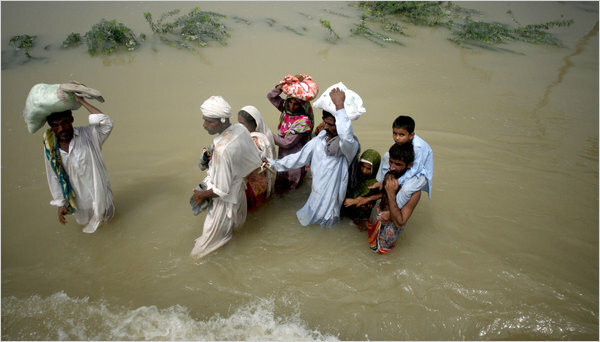 In the video below, the group describes that they chose Karachi “because it is a port city with a large population of 18 million people, and faces a 500 megawatt power deficit resulting in frequent power outages.” Each day, the city generates 10,000 tons of trash that are burned off in four municipal landfills – the largest being Kachra Kundhi, which is home to 10,000 inhabitants, who live in extreme poverty. According to em[POWER], “Many of the women and children earn a living by burning through the trash in search of scrap metal to re-sell on the second-hand market.” Although the trash in the landfill is a source of livelihood, many people are subjected to severe health risks, including third degree burns, cancer, or respiratory illnesses. Therefore, em[POWER]’s initiative will not only provide a renewable energy solution to the power shortage problem in Karachi, but also a social solution to better the lives of the Kachra Kundhi people. The group has established a close working relationship with Al Khair, a K-12 school system set up by Muhammad Muzahir that currently serves 2,000 students at Kachra Kundhi, providing free meals, books, and education. Revenue from this project will be channeled to bolster their school and college facilities and curriculum, and “their expertise will be used to establish a community center, health facilities, and subsidized housing for the Kachra Kundhi residents. The project will be completed in three stages: (1) Feasibility Study, Methane Capture, School and Community Development, (2)Expanded Methane Capture and Methane Power Plant with 10MW Capacity and, (3)	Expanded Power Plant, Residential, Health and Community Infrastructure. Once the project has been successfully implemented in Karachi, em[POWER] will replicate the model in other locations. The initiative shows how technology and innovation can be used to better the social infrastructure of a community. Moreover, it will establish an enterprise that will empower the people of Kachra Kundhi to help themselves. So, how can you get involved? em[POWER] is currently competing in the Dell Social Innovation Competition to promote their cause and fund the project. Click here to vote [you will have to register and then run a quick search for em[POWER]] so they can win $50,000!